Former Northern Ireland star David Healy will make the draw for this year's Dale Farm Milk Cup on Wednesday. Picture: Press Eye. “It is a privilege to welcome a true Northern Ireland legend of the modern era to join us for the draw,” says tournament chairman Victor Leonard. 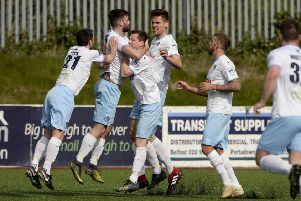 Brougshane and Clough will also host games again as the Ballymena area cements its position as a key area in the competition.